If you are wondering how to pass through Blu-ray Dolby Digital 5.1 surround audio for stream to media player, this article shows you exactly how to make it work. Is there a way to keep Dolby Digital 5.1 surround audio from Blu-ray movies so that you could play on media player without quality loss? Sure, with this top Blu-ray to MKV Converter – Pavtube ByteCopy, you can easily lossless copy your Blu-ray collections to MKV with all subtitles and original audio track for future usage like disc burning. Meanwhile, this app equips with all features other BD ripping tools do so that you can rip your BD/DVD movies to any other video and audio format you like and do simple video editing here. ByteCopy (Windows/Mac)More detailed information is published on prweb.com. Let’s get started backing up Blu-ray to MKV with Dolby Digital 5.1 audio pass-thru. Get ready to insert your Blu-ray disc to disc drive, click this “Load Disc” button to browser to disc drive and import the disc. Or you could load BD folder and BD ISO from computer hard drive to this best Blu-ray to MKV backup software. 2. Choose suitable output format. Pavtubr ByteCopy offers an special category for users who would like to keep multiple audio tracks including Dolby Digital 5.1 and subtitles in saved Lossless MKV file. 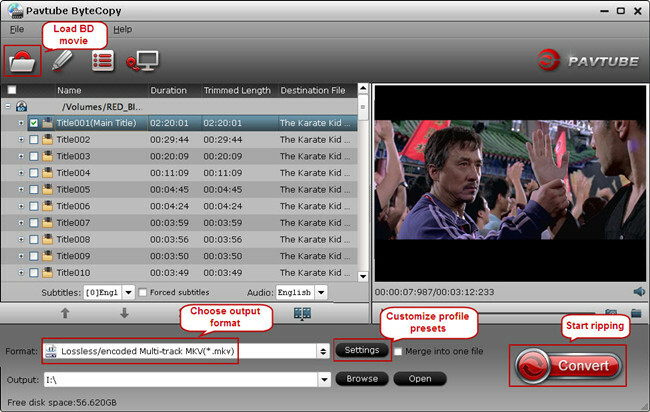 To pass-through original TrueHD/Dolby Digital/DTS/PCM audio, just select Multi-track Video > Lossless/encoded Multi-track MKV(*.MKV) for output. 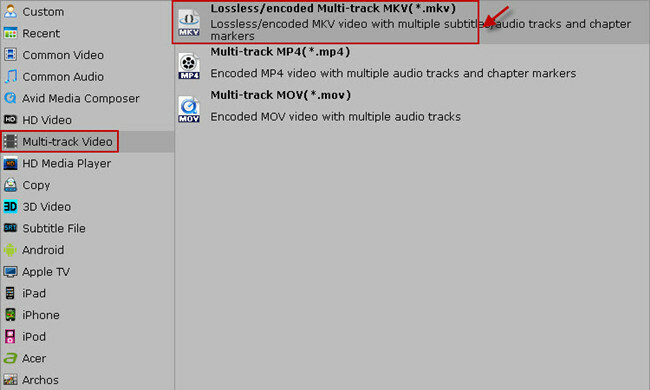 In this way the original audio tracks are streamed without transcoding from source BD Disc to saved MKV file. 3. Adjust profile presets (Optional). Save all your settings, and back to ByteCopy main interface, hit the “Convert” button to start get Dolby Digital 5.1 audio pass-through. When the lossless backup completes, you would get a single large MKV file saved in output file destination. And you could play copied Blu-ray MKV movie with Dolby Digital 5.1 audio preserved. What’s the difference between profiles under Lossless/encoded Multi-Track and HD Media Player in ByteCopy? No 5.1 Audio When Connecting Apple TV to Surround Sound System?